Designed by Lee Bartel, Liner notes by Lee Bartel, Composed and performed by Chris Phillips. Spring 2009. Album Concept: Beginning with alpha brainwave entrainment the album proresses to theta entrainment. It also employs gamma at 40 - 68 hz and vibroacoustic sound. Designed by Lee Bartel, Liner notes by Lee Bartel, Composed and performed by Daniel May. 2009. Album Concept: Delta brainwave entrainment with binaural beats from mid-frequency detunement and sinewave-based low-frequency sound with 4 second panning. Design: Bartel, Liner notes: Bartel Composed and performed by John Herberman. Released: Winter 2009. Album Concept: Boost high alpha and low beta brainwaves with binaural and monaural entrainment to reduce anxiety and increase mental focus. Foundation of 40-68 hz sinewave-based low-frequency sound with 4 second panning to decrease depression and anxiety. I somehow accidentally was given your CD, "Music to Inspire Positive Thinking," and let me just say that it is SOOOO Positively super wonderful! I absolutely love it to the core and back again! Thank you thank you thank you for saving my life and spirit with this brilliant genius music!!! Design: Bartel. Liner notes: Bartel. Composed and performed by Daniel May. Released Spring 2008. Album Concept: Increase low to mid beta and high alpha brainwaves with binaural and monaural entrainment - while not boosting delta and theta. Uses low frequency with binaural detunement. Design: Bartel, Liner notes: Bartel. Composed and performed by Donald Quan. Spring 2007. Album Concept: Wide-band delta brainwave entrainment using innovative 4-frequency pads in low frequency. Also employs “massage-like" panning with “sub-sonic" sound (sound in the 20-80 hz range). This was the first album I produced mixed with vibro-tactile transducers as focus. Design: Bartel, Liner notes: Bartel. Composed and performed by John Herberman. Winter 2006. Album Concept: Dominant alpha entrainment with minor theta effects design to boost the relaxation response and reduce effect of stress. Also employs heart rate entrainment and breath instruction. Design: Bartel, Liner notes: Bartel, Composed and performed by Ron Allen. Released Spring 2004. Album Concept: Based on a creativity model that focuses the problem in a relaxed state (alpha), then incubates the problem in a liminal or trance like state (theta) where the “Eureka" moment tends to occur, and then returns to a productive beta state, the 9 tracks on this album are designed to go through three cycles of alpha - theta - beta entrainment to support creative thinking. Album Concept: The relaxed state is not only a "anti-stress" target but also a state in which to live pleasurably. This recording of pleasant melodic instrumental music features alpha entrainment at 8.5 hz and 10 hz. Design: Bartel, Liner notes: Bartel, Composed and performed by Hennie Bekker. Released Fall 2003. Album Concept: Dep sleep state entrainment with .01, .25, .5, 1, 2 hz entrainment through binaural and monaural techniques. This album features strong "subsonic" content. Album Concept: Mental focus and "concentration" requires strong beta brainwave activity. This album entrains 12-16 hz beta through binaural detainment. Requires headphones to be effective. Album Concept: 2 hz delta entrainment through binaural detunment. Album Concept: Many health problems stem from stress. But problems also stem from brainwave disregulation and lack of bilateral coherence. 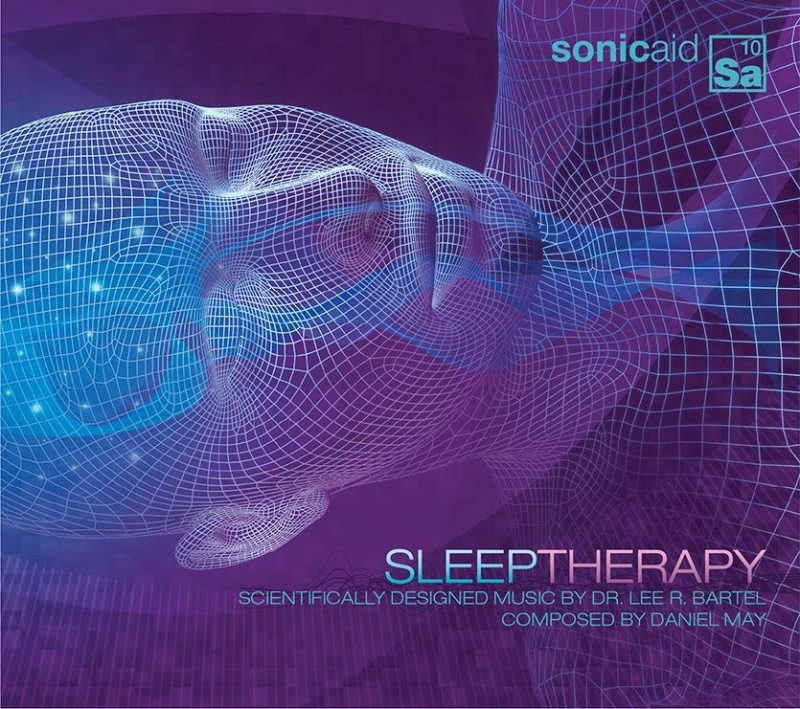 This album addresses these dimensions of health through multi-band brainwave entrainment through binaural and monaural techniques. Album Concept: Gentle lullaby music, but with 3 - 8 hz monaural entrainment inherent in musical elements. To purchase albums search Amazon, iTunes, Apple Music etc.